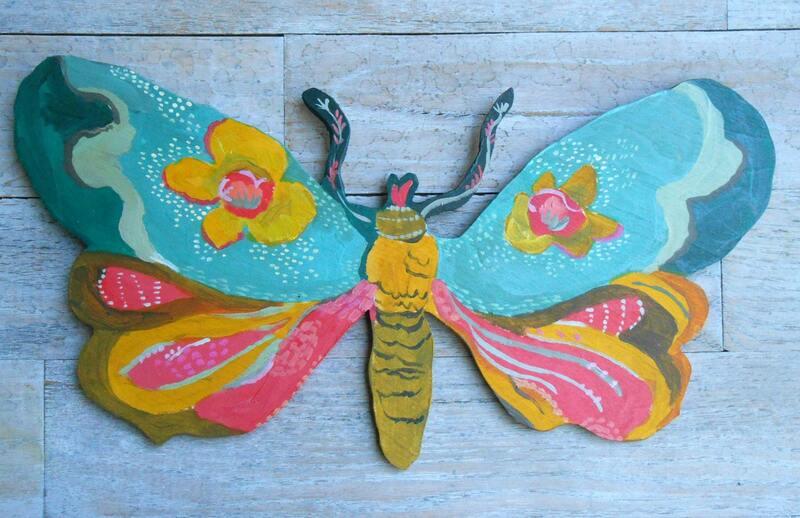 Joyful Moth Wood Wall Sculpture by Kimberly Hodges. 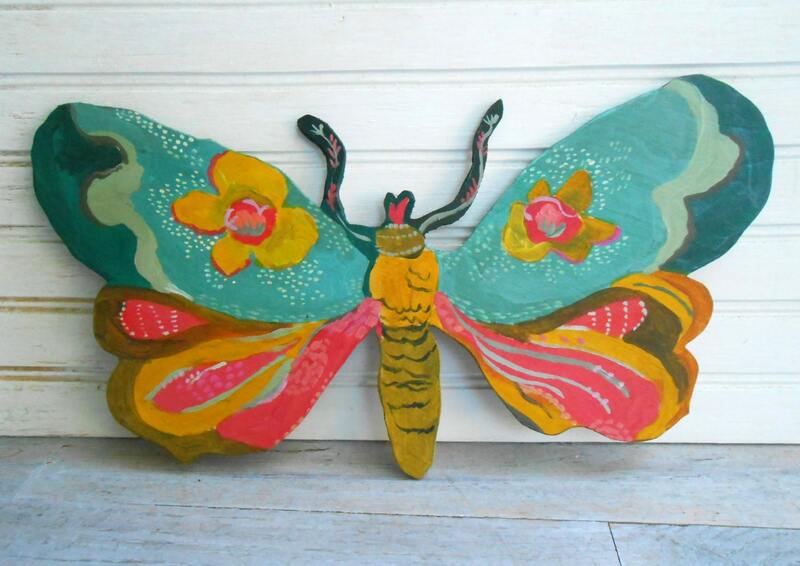 My original painting printed on wood and hand painted and varnished on the sides. 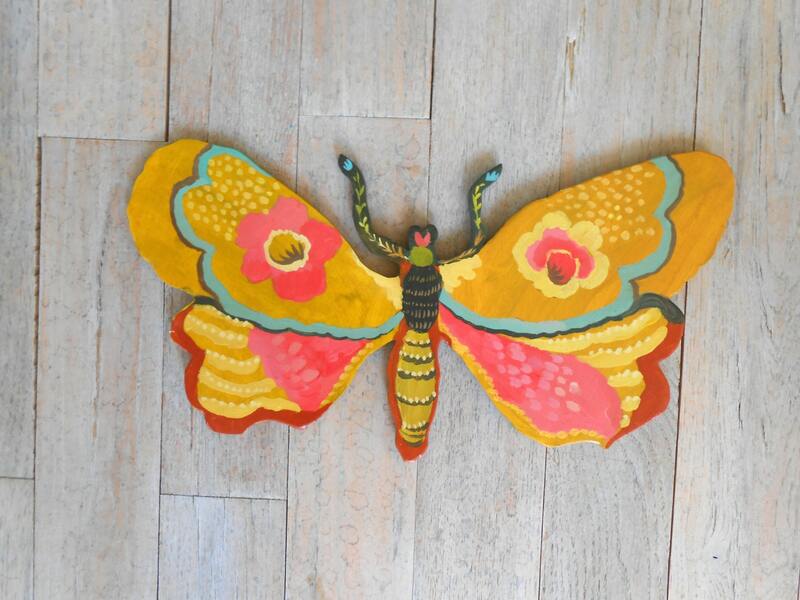 Scroll or laser cut wood with many loving details in the hand-painting. Available in two color ways of lime/pink or aqua/pink; choose from the drop down menu. Measures 15" x 7.5", and comes with two hangers on back for a quick installation. Commissions for alternate patterns, colors, sizes or themes are welcome. Shipped US Priority Mail with tracking # one to two weeks after your order is placed. 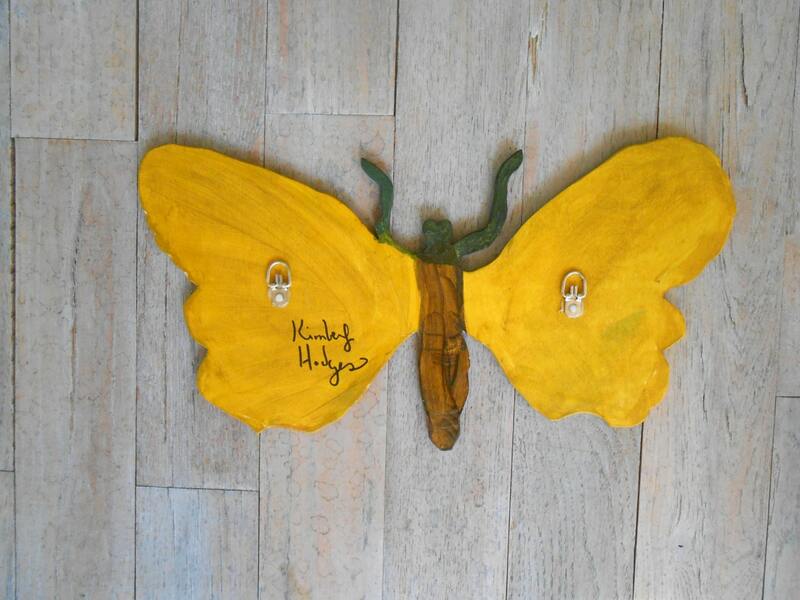 I simply adore Kimberly's art! It brings such cheer to anywhere I place it in my home. So beautiful!!! As lovely as I hoped it would be. Sent quickly and packaged safely, with a kind note inside. Thanks Kimberly! Love my new artwork from GoldfishMarmalade. Plan to purchase more from her in the future.